We regret to inform you that our beloved colleague Frederieke Taylor has passed away. 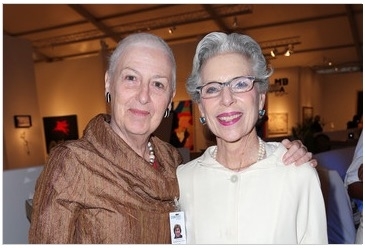 A dedicated member of the art world community, Frederieke was active in architectural and non-profit circles and ran an eponymous contemporary art and design gallery. In 1998 Frederieke was instrumental in the creation of Friends of e.1027, from which time she served as Vice President. We will be forever grateful for her assistance and generosity. Our sadness and grief are comforted by our memories of her vibrant spirit, style and brilliance. We honor her life’s work and send our condolences to her family and friends.